The Happy Book is a beautifully designed collection of 50 uplifting quotes to empower, encourage and inspire people of all ages. 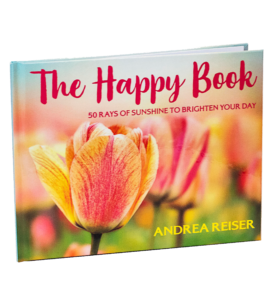 With its cheery, colorful pages, The Happy Book celebrates positivity, gratitude and kindness. It’s the perfect gift to brighten someone’s day (including your own! ).